Yesterday I spent most of the day playing with fabric and it was quite delightful! 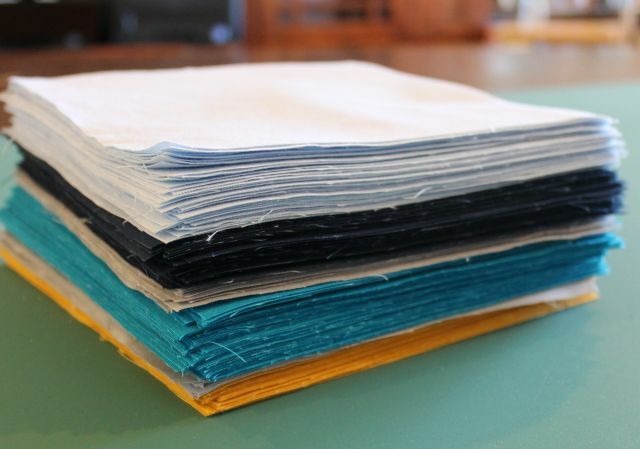 I pulled and prepped (wash with color catchers, damp dry, iron with starch) all of my fabrics for several upcoming projects. First up is my Modern Trees QAL which starts next week. I chose mostly Kona Solids with one Moda Bella Solids Aqua. I decided to go with a cream solid from Free Spirit as the background because I had several yards leftover after cutting out all the Turning Cartwheels kits. It’s a nice yellowy cream and looks great with the teals and greens. Next up, I cut and marked all the squares for the Double Chevron quilt I’m making for my son. I was having quite a zen moment getting lost in the calm repetitiveness of this task. The solid will be my focal point with the print as background. It will be a modern take on a drunkard’s path block so I hope my fabric choices will work well. I’m bringing all of these projects with me this weekend to Sewing Summit in the hopes of getting quite a bit done. I am way excited that there is lots of open sewing time during the retreat. If you are looking for me – I’ll be the one under a pile of fabric trees and HST’s! Have a wonderful time! There’s nothing like the laughter and sewing time at a retreat to get one revved up again. In love all the colors you picked for the projects your doing. The curved piece ones will look great together! Have loads of fun and sewing time. Thanks Terri – I’m on an orange kick right now, too! It’s an older Amy Butler print that I’ve sold out of but I bet you can google it 🙂 Or try http://www.missingfabrics.com. OMG! I don know how you so all the prep . I amaze myself with just ONE Project. 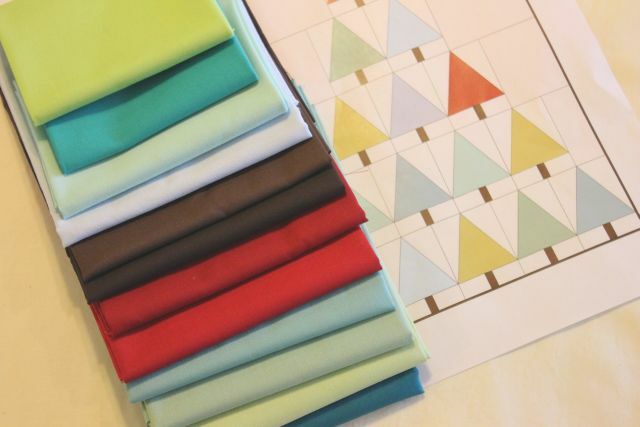 I love the fabrics for the trees and mini project . Did you post a picture of the class project? What fun fabrics. I love your choices for the trees. 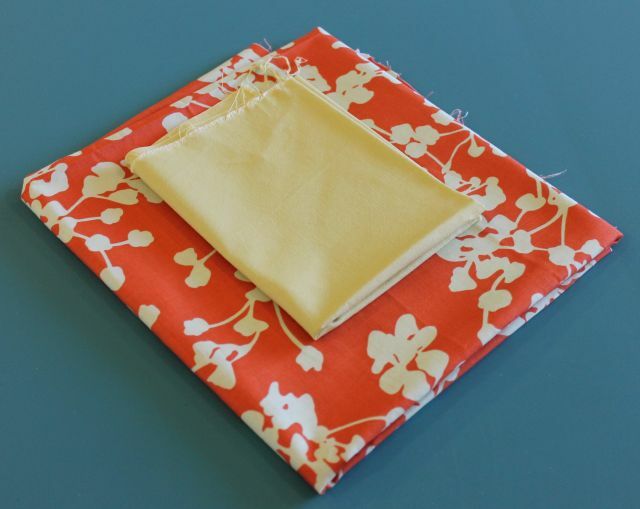 Can´t wait to begin the QAL.Have fun at the sewing summit!! Thanks! I’ll get a jump start on the QAL while I’m there. What about your bag??? you really must not like bags…. Enjoy every minute of it and I can’t wait to hear all about it. Wish I lived close enough to join you. What fun! Vickie in rainy NW Wash.
Have fun Christa! Gorgeous projects you’re taking with you. Such delightful choices! I bet you’ll be done before you know it. Have a great weekend! Have fun at the sewing summit! Have fun at the sewing summit! Don’t forget to share your finishes when you return.